Hey everyone! Happy Easter! Hope you all have fun doing whatever it is you do on Easter, finding Eggs, eating chocolate, attending a church service or maybe just sleeping in like me. However you like to spend your Easter though, I’d like to take this moment to let you all know something that I feel many of you may be interested in knowing. 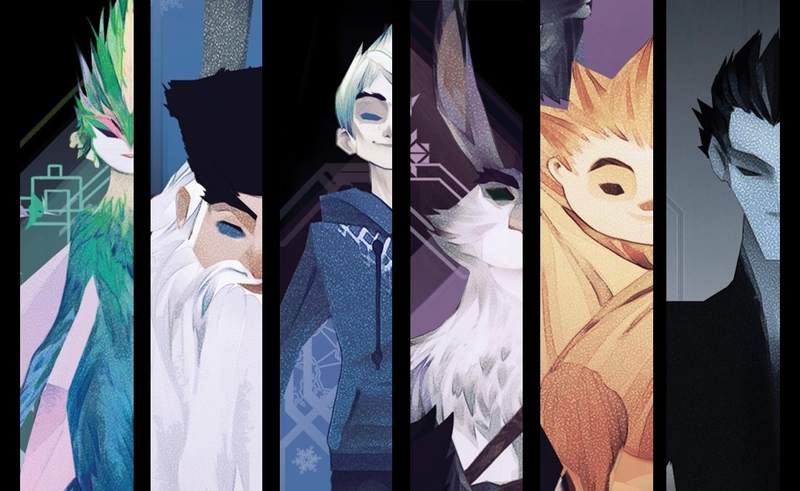 So, you know that Rise of the Guardians movie that came out in theaters a little while back? And recently hit shelves on DVD and Blu-ray? Well in talking with a number of people this week, all of whom said they “loved” the movie, I discovered that not a single one of them knew that there are books the pre-date the movie! Yes people, there are “Rise of the Guardian” books. Only the series is actually called “The Guardians of Childhood,” and literally pre-dates the events in the film. Which, is to say, that this isn’t a “Harry Potter” type situation where the movie is based off the books. The movie literally takes place a few hundred years after the events in the books. Indeed, the characters of Jackson Overland Frost and Sanderson Mansnoozie haven’t even shown up in the books yet, and the novels are still ongoing. The next books in the series is titled The Sandman and the War of Dreams, and should be coming out this September. You can find all of his books on Amazon.com, and can more then likely find them/have them ordered at your local book store. I’m a firm believer in investing in future generations. So I often purchase and invest in things that I think my kids will someday enjoy. This is one of the motivating factors in my love of Avatar: The Last Airbender and Clone Wars. These books are no different, and I can only hope to someday share the exciting adventures of Santa & the Easter Bunny with my children someday while tucking them into bed. For those of you who already have children (or will be having some soon! ), this is a series that you can’t (well, shouldn’t) afford to miss!